We left from Platteville, WI, at 10:44 AM on Friday, March 12. We took his 1988 BMW 325is, instead of my car, for many reasons. #1, cruise control, #2, AC. We took two sets of golf clubs, which basically took up the entire trunk, so we put most of our bags in the back seat. 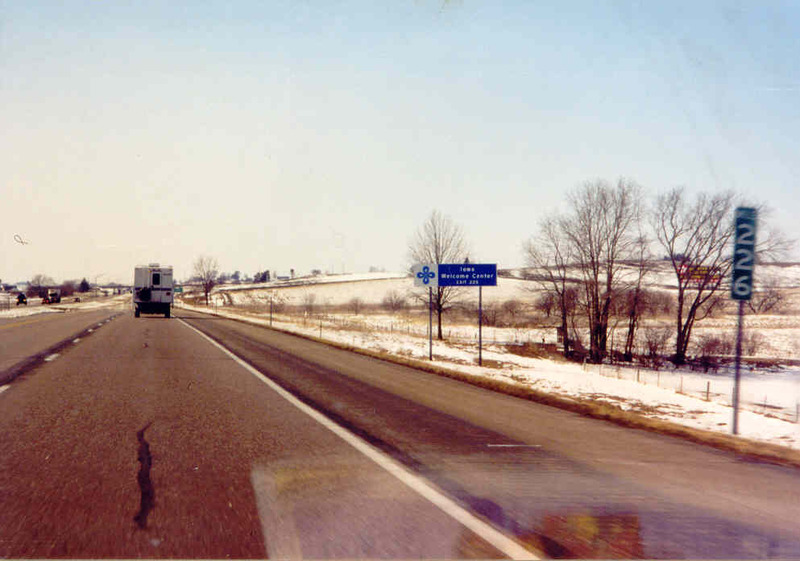 We took US 151 from Platteville to Cedar Rapids, where we got on I-380. We took that to I-80 in Iowa City. (Oxymoron?) We travelled about 1/2 hour west to Williamsburg, where we ate at McDonalds. 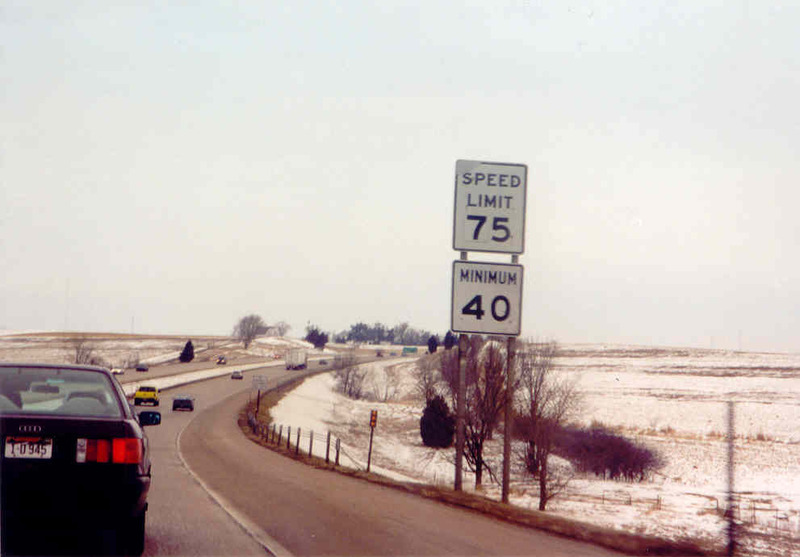 We then took I-80 to Des Moines, where we took US 65 and IA 5 around. 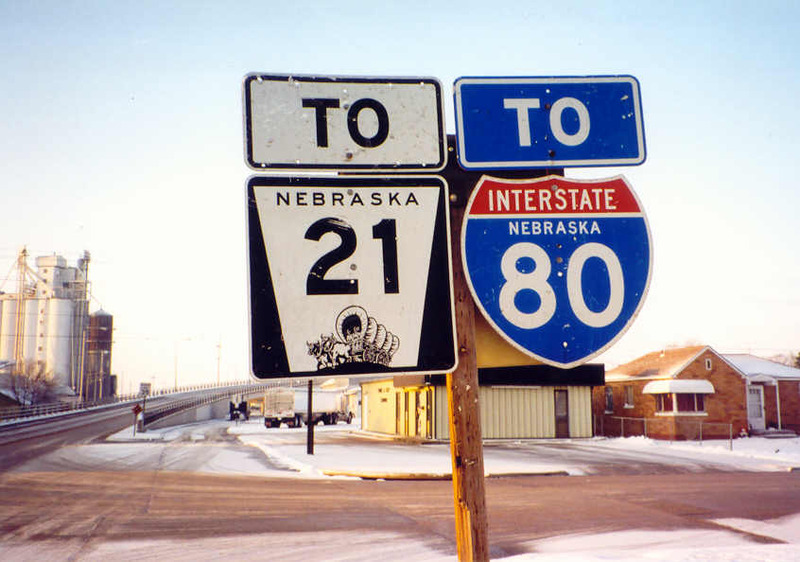 Then we got back on I-80 via I-35, and continued west to the Nebraska state line. We tried to get in the Nebraska welcome center, but it was closed. 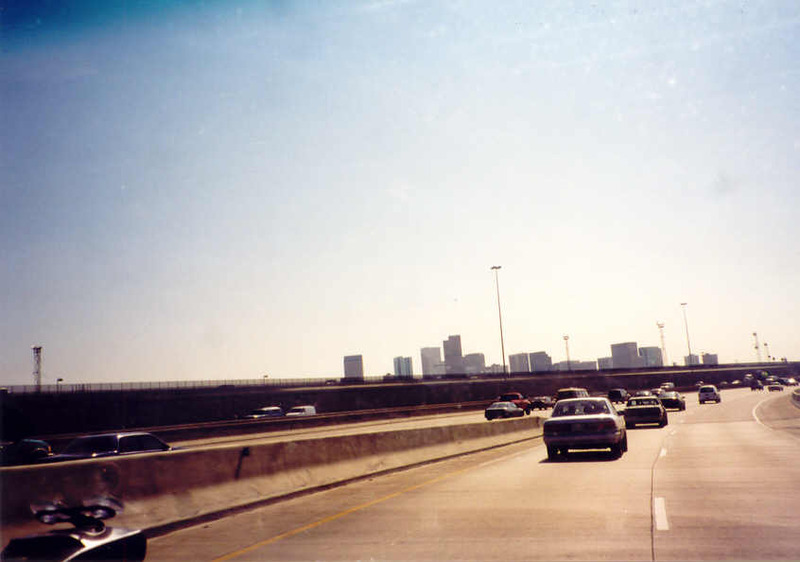 Other than that, Omaha was a nice city. Then we went to Lincoln on I-80 and ate at a Denny's. We thought they didn't give us much food, and the service was slow. It turns out this is like the rest of Nebraska. We then drove to our destination for the evening, Cozad, NE. The weather was great until about 10 miles to Cozad, and then the roads got icy. We were glad we only had to go through 10 miles of it. 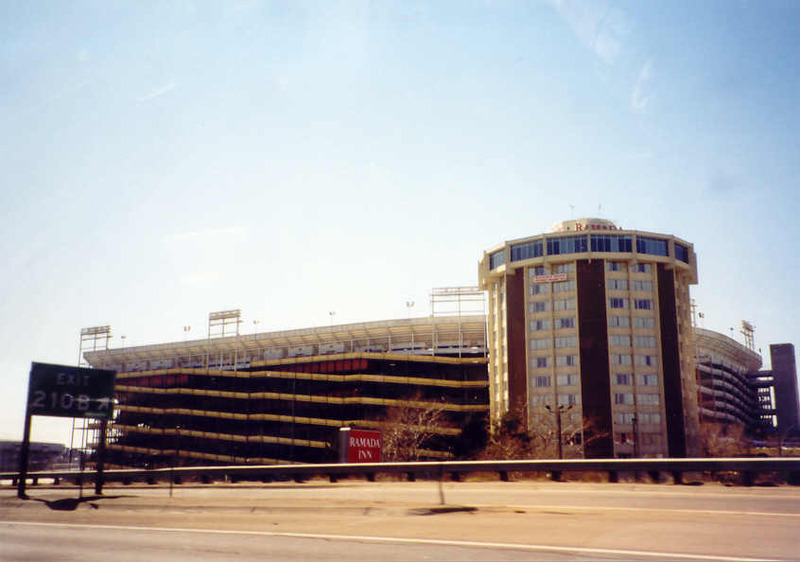 We stayed at Motel 6, the motel of choice for our trip. 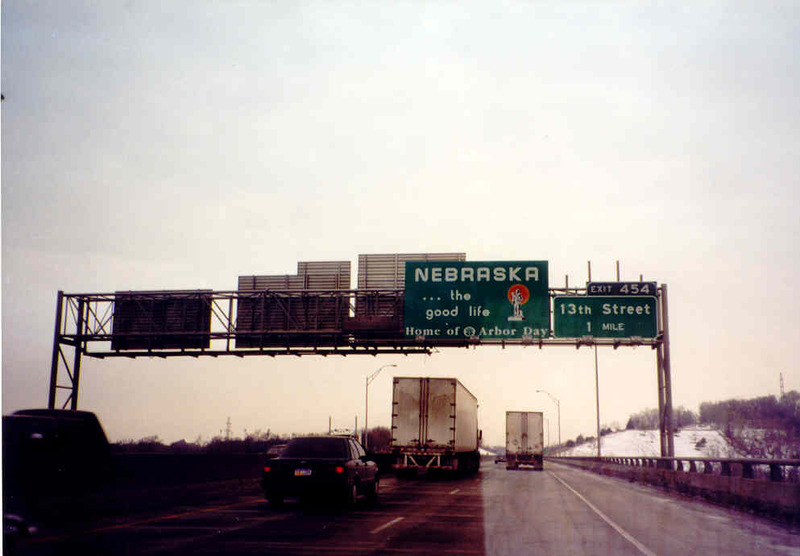 The Nebraska welcome sign on I-80 in Omaha, and the first speed limit 75 sign we saw, on I-80 just west of Omaha. 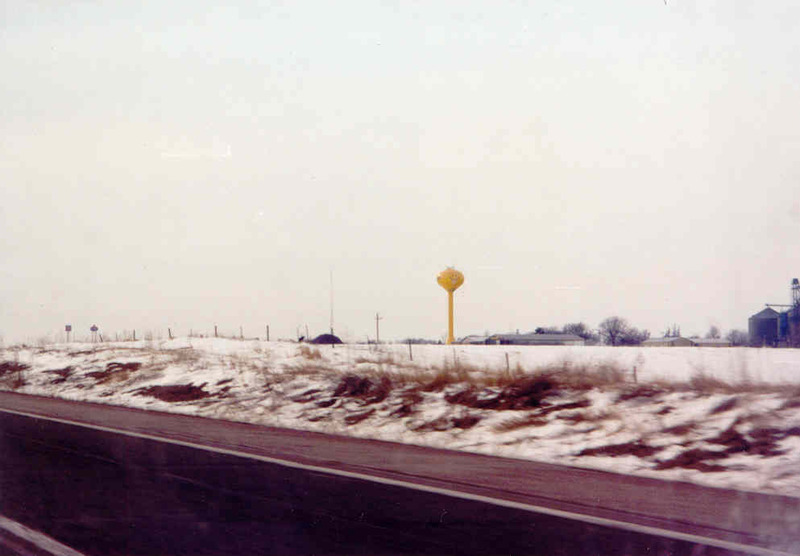 We left Cozad, NE, about 8 AM on Saturday, March 13. It had flurried the night before, so I-80 was still slow going. 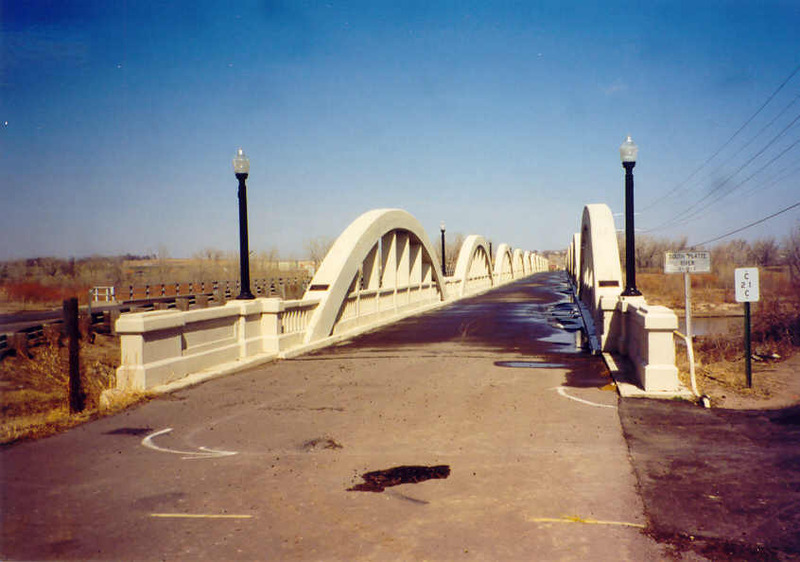 We got to North Platte, and they had us get off of the interstate. 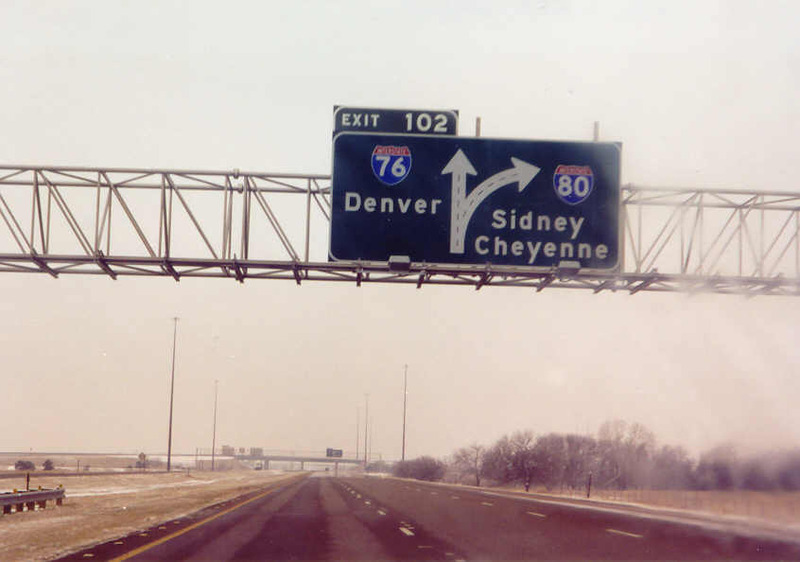 We listened to the CB radio, and heard there was a pile-up, so we got detoured through North Platte and had to take US 34, which runs parallel to I-80, for about 10 miles, and we got back on I-80 at the next interchange, in Hershey, NE. This wasted about an hour, but the road was a lot better when we got back on it. 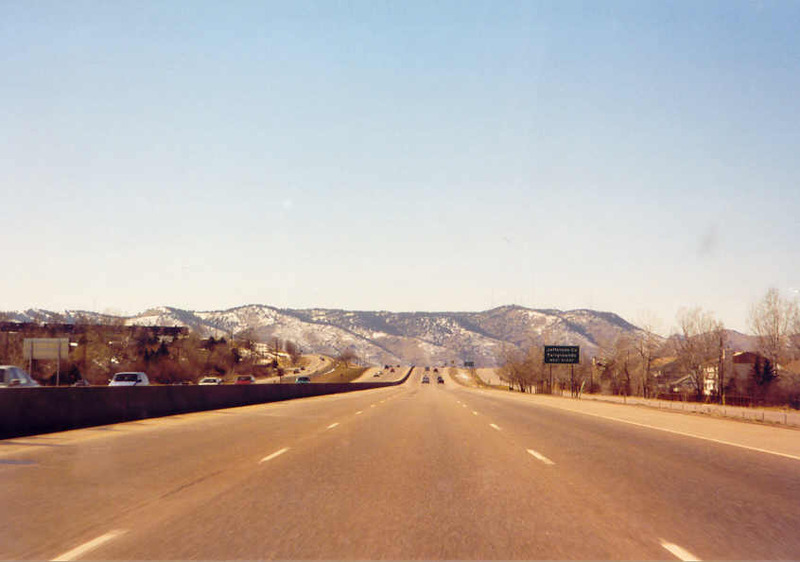 By the time we got to Colorado, the road was perfectly clear and dry. 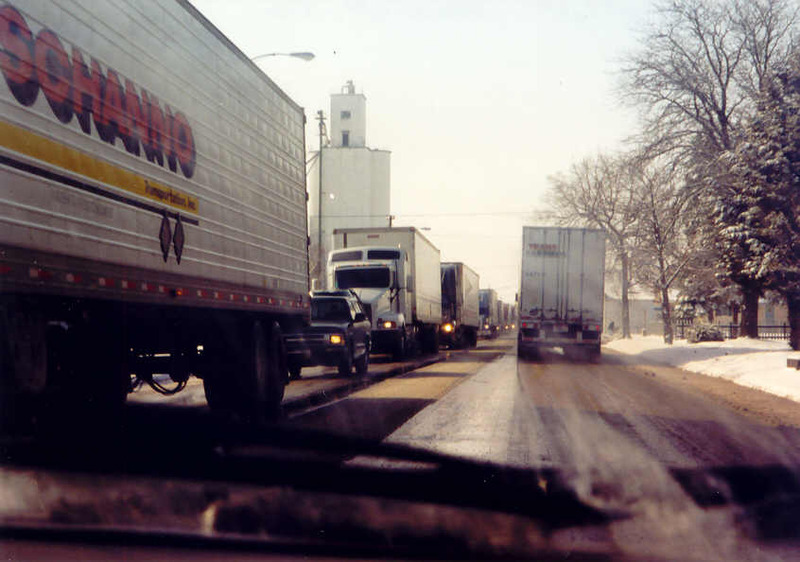 Nebraska state highway shield, truck backup due to detour, in Hershey, NE. We stopped in the Colorado welcome center, after getting off I-80 and onto I-76. There we heard about what we thought would be a cool bridge in Ft. Morgan. It wasn't. It sucked. 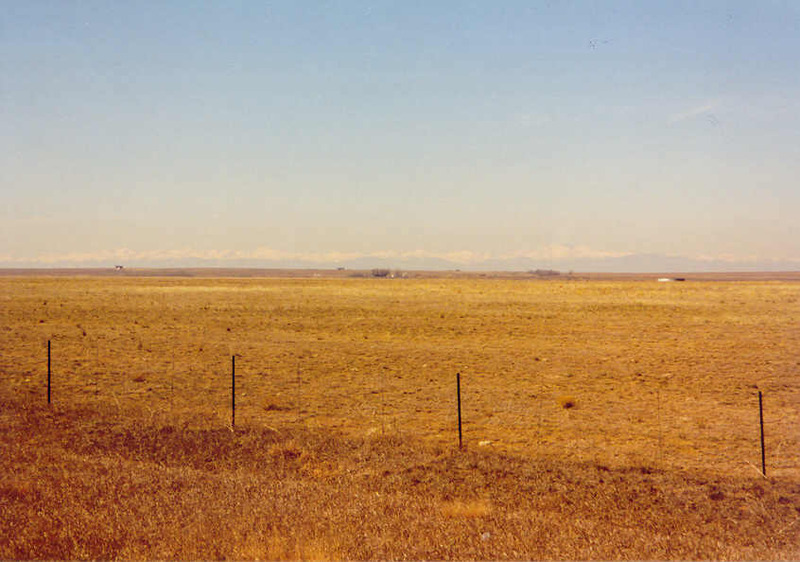 Then we drove to Denver. We got there and were hungry and wanted to eat. 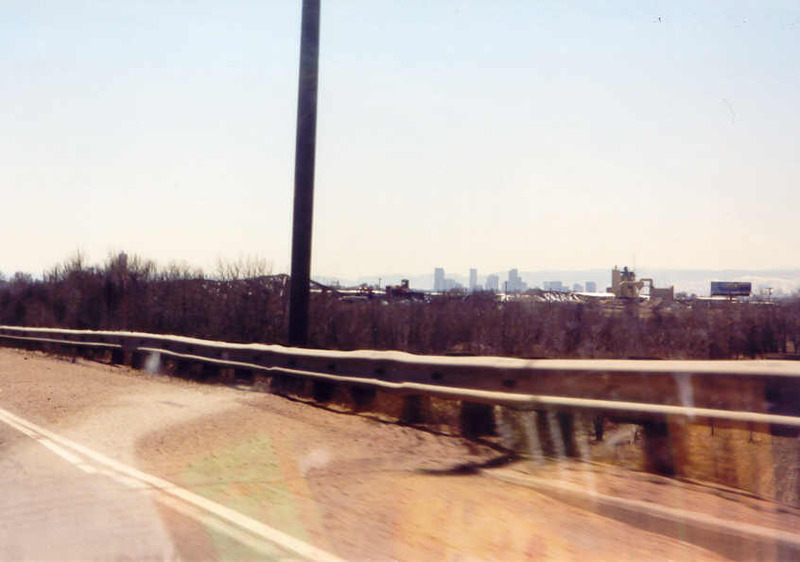 We kept driving in the city, and it was all industrial, there was no place to eat, until we got way into the city. Then we ate at Burger King. 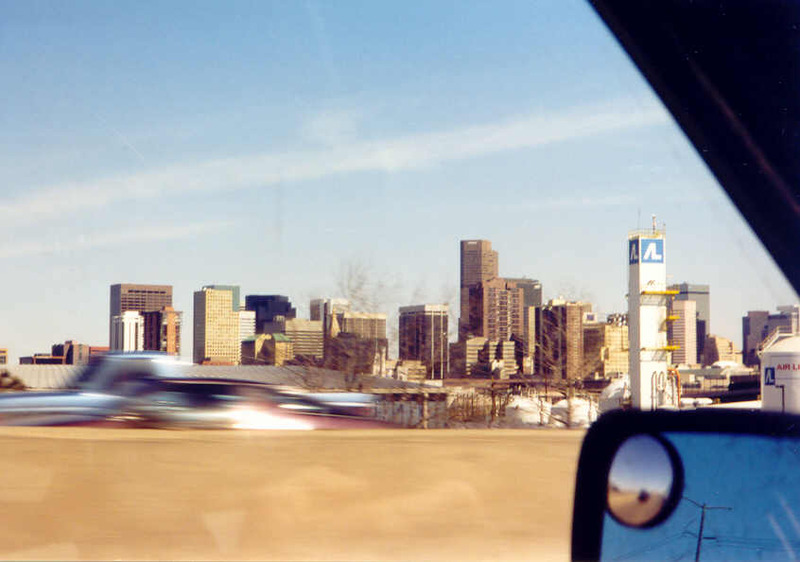 We then drove through downtown, and then left on I-70.